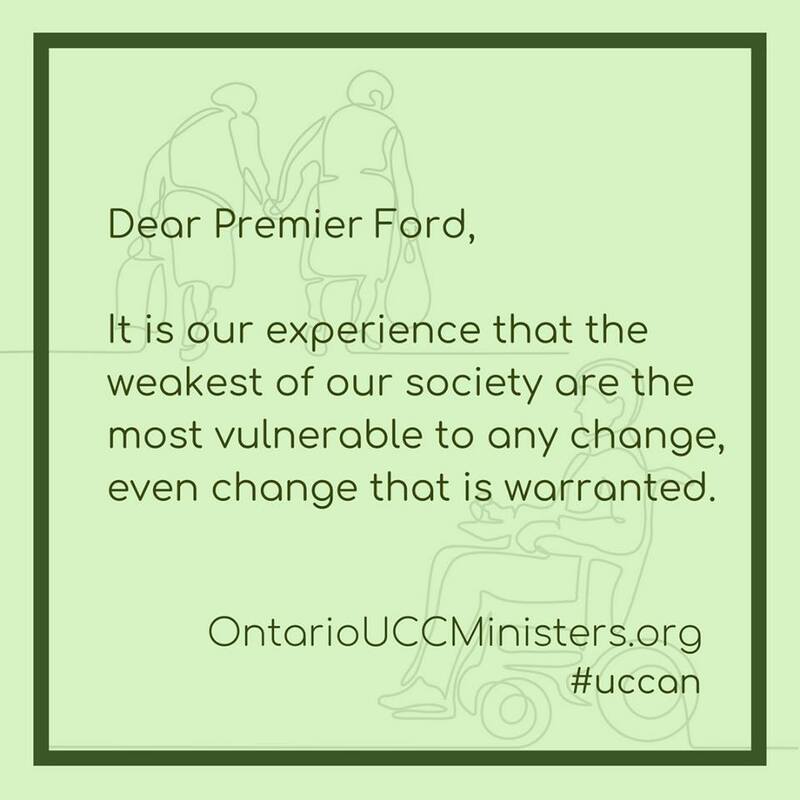 Recently a group of about 270 United Church clergy in Ontario signed an open letter to the newly elected premier of the province, Doug Ford. I know many of them and a couple are actually serving pastoral charges I served along the way. I suspect that many more would have signed it as well, had they known about it. I'm glad that they have raised a number of important concerns, all of which I share. While I doubt the signees are holding their collective breath in anticipation of an earnest and fruitful meeting, they've spoken up "for the people" and the environment. Have a read and tell me what you think. 1. The vulnerable and marginalized must not pay the cost of budget cuts. The poorest members of our society cannot break free of the cycles of poverty, hunger, homelessness, and poor medical care without programs that enable them to become healthy members of our communities. It is far too easy to fall between the cracks of our currently broken systems. We would be pleased to meet you and with MPPs in our local areas to begin a dialogue about these matters. Lastly, we wish you well as you fulfill your mandate to serve all citizens of Ontario.